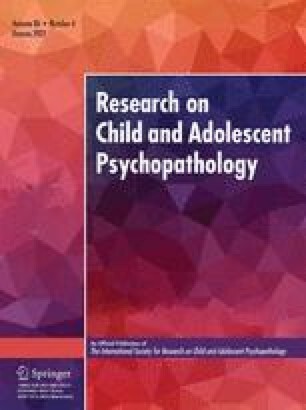 The current study assessed the relative importance of conduct problems and depressive symptoms, measured at two ages (11 and 15), for predicting substance use at age 15 in an unselected birth cohort of New Zealand adolescents. Among males, when the relative predictive utility of both conduct problems and depressive symptoms was assessed, only pre-adolescent depressive symptoms were found to predict multiple drug use 4 years later. No predictive relation was found between early symptomatology and later substance use among females. The strongest association between predictors and substance use emerged between age 15 multiple drug use and concurrent conduct problems for both males and females. Finally, both conduct problems and depressive symptoms at age 15 were also found to be associated with concurrent “self-medication” among females. This work was supported by USPHS grants MH-43746 and MH-45070 from the Antisocial and Violent Behavior Branch of the National Institute of Mental Health to Terrie Moffitt. Bill Henry was funded by a Fulbright Travel Award. The Dunedin Multidisciplinary Health and Development Research Unit is supported by the Medical Research Council and Health Research Council of New Zealand. Appreciation is expressed to the interviewers who collected the data, and to the young New Zealanders who were members of the sample.